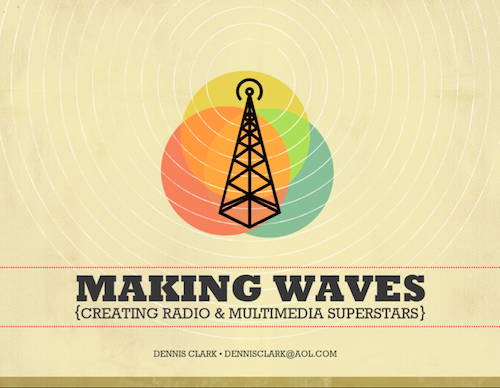 Home › 2 minutes › 2 Minutes of Spots Per Hour – Radio’s Future? 2 Minutes of Spots Per Hour – Radio’s Future? By now you’re probably familiar with the recently announced initiative from FOX that will reduce commercial content to just two minutes per hour by 2020. This comes as audiences are spending less time on network TV and more time on OTT (over the top) platforms like Amazon and Netflix. While in some cases younger demographics have opted away from traditional TV altogether, the greatest problem is the reduced time spent viewing on traditional TV, particularly among younger demographics. This is a problem that TV and radio tend to share for some of the same reasons (more choices, more capacity to use those choices, more tech savvy consumers, etc.). Audiences are carving up the time they used to allocate to ad-supported services (when that was all there was) and now paying for services which provide the content they want without the ads. …the new two minutes-only of hourly commercial time will come at a steep price to sponsors because (a) commercial time will suddenly become scarcer and (b) their messages, at least in theory, will no longer be diluted by adjacent spots in the way that commercials are clustered together today. The diminished number of hourly commercial availabilities will likely increase demand for in-show advertising opportunities too. These demands will likely be granted. Along with this, commercial-supported TV companies and networks are also launching their own subscription services to compete directly with the SVODs. So we will see Star Wars on a Disney OTT platform just as we can now see Star Trek on a CBS OTT platform. Without question, these strategies will work. They will provide more premium quality content behind a paywall that some consumers will be only too happy to pay for. They will provide the rest to broadcast viewers where the commercial messages are either integrated into the programming directly or showcased in small quantities such that their value is elevated significantly. Given that 100% of all research studies for broadcasters proclaim a demand for more music and fewer interruptions, how long can the advertising disparity persist between radio – with a lot of interruptions every hour – and TV or print, with increasingly few? Already we talk a lot about Amazon Alexa devices, even though listeners appear to be much likely to listen to music on those devices via subscription platforms like Spotify than free radio ones. Understand this: Consumers are increasingly willing to pay for value and to circumvent (or block) ads to do it. Consumers are increasingly willing to pay for value and to circumvent (or block) ads to do it. I have personally spoken with some broadcasters who claim a desire to push digital revenue to 50% of their overall revenue within the next few years (they should think about what their biggest fans would actually pay for). I have also spoken to Christian hybrid commercial/non-commercial broadcasters who are planning that listener donations will yield a greater fraction of their overall revenue pie in the years to come. TV may be leading the way, but radio is likely to move in the same direction and for the same reasons. What are you doing to plan for a diversified business model where over-the-air spots comprise a much less important component? And when those plans begin to materialize, how long will it take you to cancel your overpriced and under-valuable contract with Nielsen?